A North Korean who said he escaped round-the-clock labor in the Middle East and Russia voiced fears Friday that Pyongyang was sending more forced workers abroad and appealed for greater international attention. 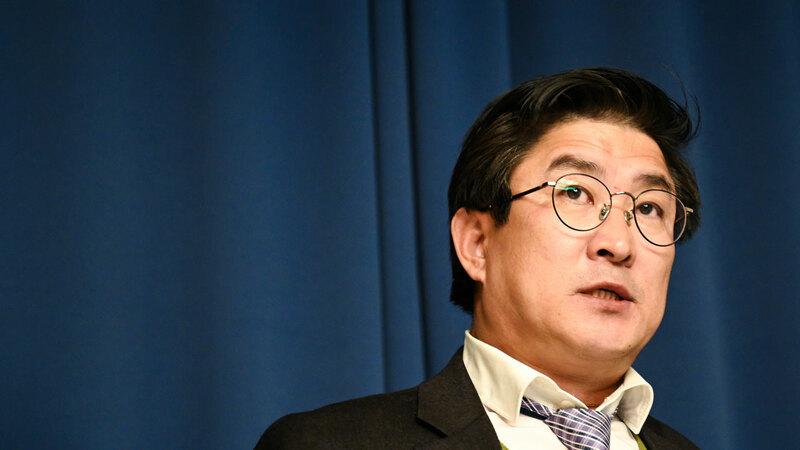 Addressing a news conference in Washington, Roh Hui Chang said he reached South Korea in 2014 after two to three months hiding in the bushes and warned that many more North Koreans suffered his plight. “According to my sources who have knowledge of the current situation there, nothing has changed since my time abroad,” Roh said. Roh said that many North Koreans eagerly took jobs overseas, even incurring debts to sign up, in hopes of earning a more decent living than in the impoverished state. But he said that some workers returned from several years of labor with less than $100 to themselves, with the vast majority of the wages pocketed by the North Korean leadership. Roh said he spent seven years around the Middle East — his longest stretch being in Kuwait — where he was required to work in construction from 5 am to 11 pm each day, with hours often stretching into the night as he was unable to complete chores in the intense daytime heat. He said that between 10 and 30 workers shared stuffy rooms of no more than 20 square meters (200 square feet), barely the size of a storage area. He later worked for two years in Russia, from which he escaped, where he said he also toiled in grueling conditions and was fed only rice with salt. North Korea’s use of overseas workers has been well-documented but estimates on the labor force’s size vary greatly. The Seoul-backed Korean Institute for National Unification quoted defectors in 2016 as saying that North Korea had a goal of sending 10,000 workers overseas each year to a total of 27 countries. The vast majority of workers are in North Korean allies China and Russia but laborers have even been discovered in Poland, drawing scrutiny in the European Parliament. Roh urged the United States to press North Korea on labor rights as President Donald Trump pursues negotiations with Kim Jong Un. Secretary of State Mike Pompeo brought up North Korean foreign labor last month at the United Nations as he pressed for enforcement of sanctions, although he says the focus of Trump’s diplomacy is Pyongyang’s nuclear program.